Anglers who use the same reliable fishfinder over the course of many years might be amazed at the technology that newer models have to offer. The latest upgraded fishfinders blur the lines between the electronics found in personal devices and the marine technology that is available today. The Simrad GO9 XSE is a prime example. Along with fishing, the unit is also ideal for anyone who enjoys embarking on long distance water-based excursions. 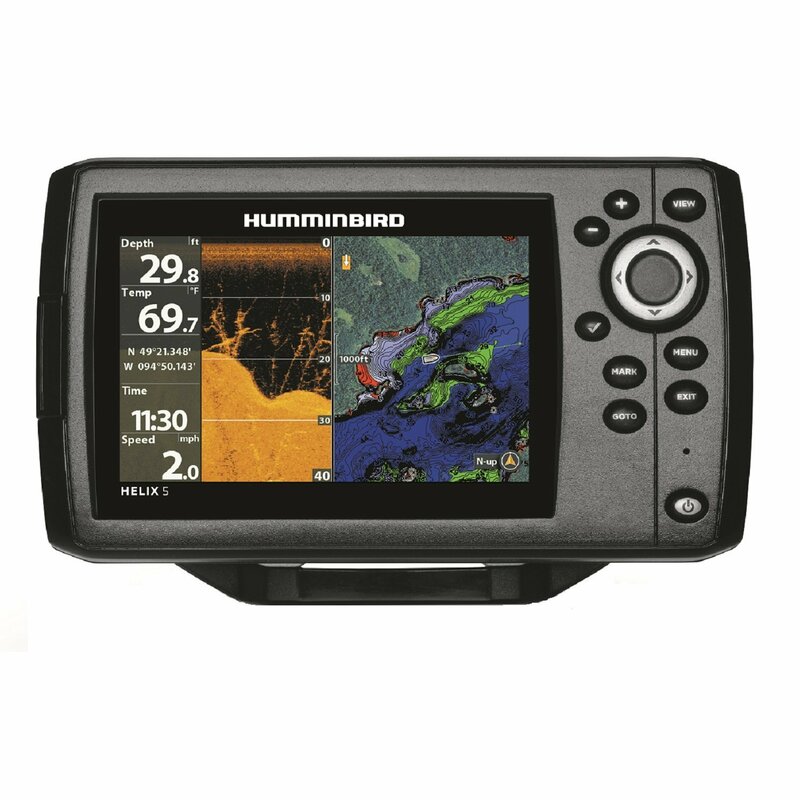 The Simrad GO9 boasts a full 9-inch diagonal LCD display that provides images in full WVGA color and 800 x 480-pixel resolution. LED backlighting enables you to easily read the screen whether you are on the water under direct sunlight, on a cloudy day or after dark. If you are familiar with the touchscreen technology found in smartphone, laptops and tablets, you will have no problem using the GO9 SXE. An intuitive menu takes you through the navigation process without difficulty. The home screen layout provides you with all of the icons you need to make the right selection. The large icons are clearly visible and have easy to read captions. Make your selections with a simple tap on the screen. With a quick tap, you can also mark your waypoints. Pinch to zoom, or tap and drag across charts and waypoints. Customize your Simrad for a variety of activities ranging from fishing and power boating to watersports. Add shortcuts to the features you use most frequently. Personalize your device with your favorite wallpapers. The GO9 enables anglers and boaters to customize layouts or view split-screens for more information. 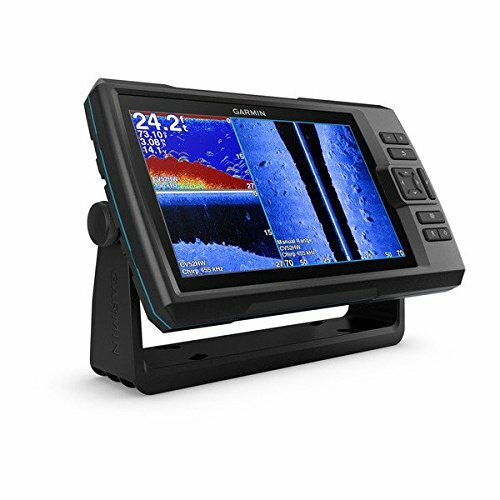 The GO9 XSE has Wi-Fi connectivity built into the unit, which enables you to link your fishfinder with other mobile devices. You merely need to download the no-cost Simrad GoFree app on the website and start pairing your gadgets. Venture to the GoFree cloud to get map downloads, software updates and other information. Once linked to a mobile device, you can also remotely control the GO9 using the GoFree Controller app. You need not sit in silence when you have the Simrad SonicHub 2 & Bluetooth Audio Integration technology. Stream music from your mobile devices, listen to the AM/FM radio or play your favorite MP3 files using the USB flash drive. Connect to Simrad Broadband 3G, 4G or the Halo Pulse Compression radar systems. You are then better able to navigate through tricky situations that may include crowded harbors or fog. Monitor weather conditions or learn where waterfowl are feeding to find the best fishing spots. The device automatically tunes itself to give you the clearest current images possible. Combine radar images with charts to see and interpret your environment. Embark on excursions by linking the GO9 XSE with your vessel’s NMEA 2000 equipment and monitor your flow and fuel meters along with boat speed, heading and water temperature. Create the digital gauges that suit your needs. The TripIntel Technology makes your excursions safer and more enjoyable. Evaluate your fuel range and charts simultaneously. See current and future tide levels. The 10 Hz GPS receiver updates your boat’s position 10 times each second so you can easily track your journey smoothly and accurately. Your Simrad GO9 XSE is also compatible with SiriusXM Marine satellite weather if you add the WM-3 expansion module. In this way, your device provides weather radar, NOAA Marine Zone forecasts, buoy reports and other pertinent data. However, Sirius XM Marine does require a subscription. The GO9 comes with or without your choice of a ForwardScan or a TotalScan transducer, which provides CHIRP & StructureScan. StructureScan includes SideScan and DownScan capabilities. The ForwardScan transducer gives you 2D images of underwater features that lie directly in front of your boat to the bottom of the water. In this way, you more safely travel through shallow or poorly-charted areas. See vegetation, trees and manmade structures where fish may be lurking. The TotalScan transducer provides medium and high-level CHIRP capabilities using the 83 or 200 kHz frequencies. CHIRP displays the typical fish arches anglers look for while StructureScan simultaneously operates at 455 or 800 kHz frequencies to provide a photograph-quality view of the terrain below. The conical beams emitted by CHIRP combined with the fan-shaped beams emitted by the StructureScan take the guesswork out of where the fish are located in the murky depths. On the lower frequency, the CHIRP creates images in depths of up to 1,000 feet below the water’s surface. SideScan offers 3D images of the marine terrain. The 455 kHz frequency extends your view to 300 feet on either side of your vessel. The 800 kHz frequency offers crisper images but is limited to 100 feet on either side of the boat. Down Scan provides real-life views below your current position. Using the Overlay DownScan feature you simply view the 2D CHIRP images over the DownScan images. The option offers a clearer understanding of the distance between fish targets in relation to various underwater structures. Mark the best spots to return on another day. The TotalScan transducer also equips anglers with Fish ID, A-Scope, Bottom Lock, Depth Line and Split-Zoom among other functions. The GO9 XSE has a chart plotting feature. Mark routes, waypoints and name them as desired to navigate on inland bodies of water or offshore destinations. The unit stores up to 10,000 waypoints. You can also track your vessel’s movement along the chosen chart panel. The fishfinder comes equipped with Worldwide Basemaps that offer little detail. However, the images do display the borders between land and water along with main roads, interstate highways and various points of interest. However, you can easily expand your charting options, as the device is also compatible with C-Map, Insight, Insight Genesis, MAX-N, Navionics and NV Digital Charts. The fact that the unit does not have Ethernet compatibility or support NOAA charts may pose a drawback for some. However, whether you are a routine novice or professional anglers, you will discover that the unit pays for itself many times over with the amount of fish you will pack into your boat. The GO9 XSE is efficient and loaded with a wealth of functions at an affordable price.